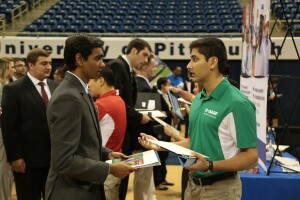 Select registration link for the career fair of interest. See above. 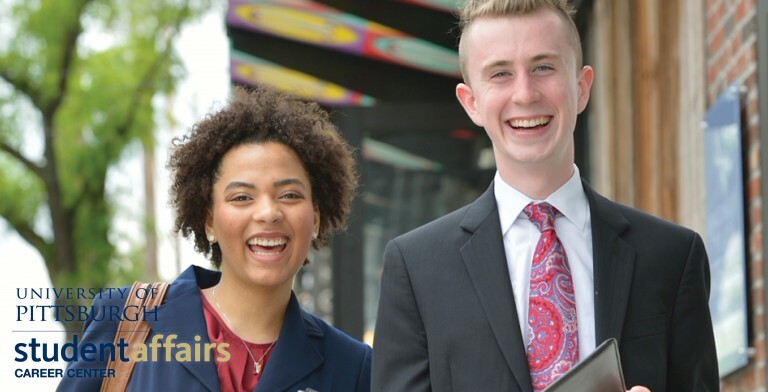 You will be taken to the Pitt Spring 2019 Career + Internship Fair overview page. Select the “Register” button in the top right corner. “Sign-In” to your account. If you do not have an account, you will be prompted to create a new account with Handshake before registering for the career fair. Once you have registered AND your registration is approved, you will receive an email with your final invoice and a link to make payment by credit card. This final invoice will reflect any applicable discounts. Please note, due to limited space in the William Pitt Union, registrations from third-party recruiting or staffing companies will be placed on a hold and remain “Pending” until it is determined that adequate space is available. Please contact Sharon Mickens at shm102@pitt.edu with any questions. Please click here to view the Pitt Career Center Inclement Weather Policy. Dates and details about each of these fairs will be posted when registration opens.